Celosia, also known as cockscomb and feathery amaranth is cultivated for its spectacular inflorescent and showy colorful flowers. 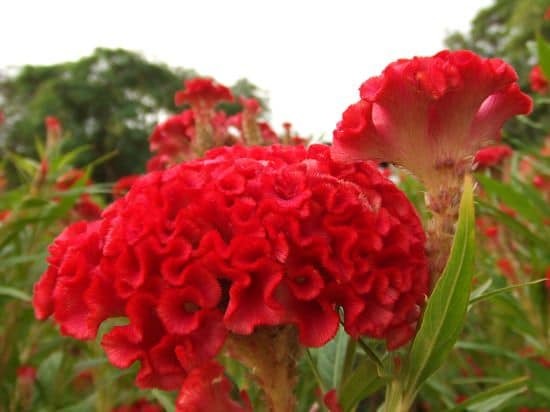 The genus Celosia belongs to the family of Amaranthaceae, it includes plants very appreciated for their showy inflorescent, colorful and fluffy flowers that rise above the leaves. Celosia is native to tropical regions of Asia and Africa. 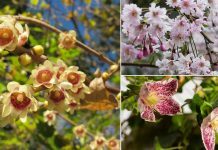 In most species, flowering begins in late spring and can continue until late fall (autumn) in colder climates. Whereas, in subtropics and tropics, it is grown as a perennial. Celosia argentea is native to tropical Asia. It ‘s a plant that grows to a height of one meter with dark green coarse leaves with apparent ribs. The flowers are bright and colorful and can last up to 6 to 8 weeks. Also called as Chi Kuan in China. It is known as cockscomb as the flower head resembles the head of a rooster. It comes in colors like carmine red, yellow, white. The plant of this variety has edible uses too in the countries of West Africa and South East Asia. Both the leaves and flowers are eaten. Known as feathery amaranth it grows up to 40 cm high, branched with flashy stems, oval leaves and flowers. The flowers of this species are often dried out and preserved for decoration as they keep their color for a long time. Celosia Caracas blooms from mid-summer to fall. Its lovely pink and purple colored flowers bloom above oval shaped leaves. You can also make wonderful cut flowers of them. Celosia loves sun and heat. The optimum temperature for celosia ranges around 64 F – 80 F (18 – 25 ° C) and to obtain abundant flowers, exposure to the full sun is essential. 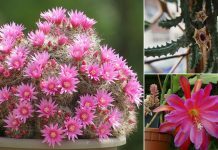 If growing indoors or on a balcony, find Southern or Western exposure for constant blooms. Celosia loves moist soil. Although the plant can tolerate short periods of drought but it grows much better when soil remains slightly moist. While watering, remember not to overwater plant to avoid leaf spots, stem rot, root rot and other fungal diseases. Celosia plant thrives in most of the soil types, but it is better to use soil that is rich in organic matter and drains well. The pH level of the soil required should be around 6 to 7. 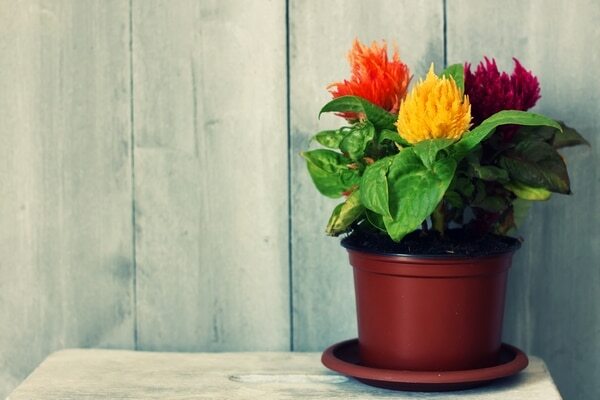 To learn about celosia plant care, read this article. Celosias can be propagated from seeds or you can buy potted plants from the nursery. If you propagate plants from seeds it is likely that you will get the plants that are not same as the parent plant. However, in this case, you might get some pleasant surprises. If you’re growing celosia from seeds, sow seeds indoors, 4 weeks prior to last frost date in good quality seed starting mix and cover these with the thin layer of soil and keep the mix constantly moist. *In subtropical climates, seeds can be sown year round. Once the seeds have sprouted, move them to bright place but not in direct sun. 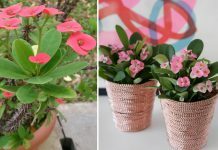 When they reach the height of about 3-4 cm you can plant them in individual pots and continue to water so that the soil remains slightly moist always. Typically after a couple of months from sowing celosia seeds, seedlings will reach the height of 15 cm. and the young plants will start to bloom. If you’re planting celosia outside or growing flowers beds of it wait until all the dangers of frost will pass. Leave 18 inches of spaces between each plant for smaller varieties, for larger varieties leave about 24 inches of space. Flower beds of celosia look bright and vivid, it is also perfect for edgings and borders. 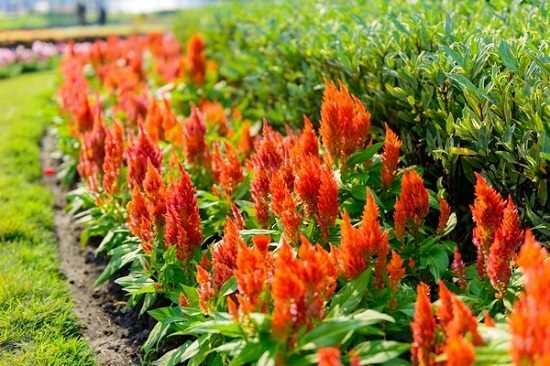 The rows of celosia in gold, orange, crimson or yellow looks flame like and adds charm to any garden. Its ruffled, velvety flowers are eye catching! Common pests and diseases that infect celosia plant are aphids and spider mites. For diseases, check for leaf spot, stem, and root rot. To avoid infection keep your plant healthy, water in limit and ensure good drainage. Spray with organic pesticide and fungicide if necessary. If your celosia plant begins to wilt and grows up with difficulty, it is a sign of excessive watering or fertilizing. Planting in well-draining soil or in a soilless potting mix and fertilizing according to the instructions will fix these problems. Thank You. Your Web Site is very nice. I have rooted cuttings of plumed celosia with good success. I did 5 cuttings in water in a sun room and all rooted. They sent out a long, single root and then feeder roots came later. These cuttings rooted anywhere from 2 to 4 weeks. Three rooted in about 2 weeks and the last 2 took about 4 weeks. Stems were healthy throughout the rooting process. I also tried 5 cuttings in sand. They also took about the same time to root but I had them outside where they got shade during the hottest part of the day. I kept the sand moist by setting the pot in a pie plate and put a milk jug over the top to hold humidity. On some days when there was intense heat, I watered the pot. I checked 2 of the cuttings today and they had roots and in more abundance than the cuttings in water. I will pot them up tomorrow. From my experience, they are easy rooters and I did not use any rooting aid. I used side shoots from the ‘mother’ plant about 4 inches long. Pinched off any buds and took off the bottom leaves leaving only about 3 or 4. The cuttings with the 4 leaves seemed to have the better root system. I am looking forward to growing this celosia in a pot this winter. It is very pretty. Should I pay attention to the size of the pot and the plant. are they easy to transplant?